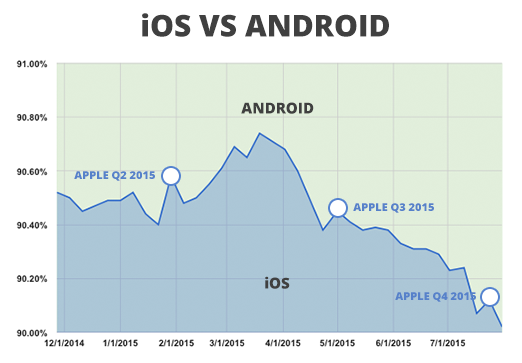 Apple continues its downward trend this week in the mobile device wars against Android, losing 0.10 percent among pMD's charge capture physician users. Apple still dominates the physician market share, but it is clear that Android is making a slow but steady increase. Will we see Apple dip under 90 percent next week, or can they hold on? Check back next week for the results!